Welcome friends! It’s time for another installment of Must Have Mondays, hosted by sweet Sabra from Teaching with a Touch of Twang! So, I’m sitting here at home getting ready to barbecue for the holiday and I’ve been sitting here thinking about what I could post about. I don’t have any photos from school, because…well, I’m not AT school. So…that left me to ask my husband his opinion on what I usually MUST HAVE. Well, asking his opinion usually leads to some interesting revelations about me. So…this is how the conversation played out. Me: Honey, what can’t I live without. Me: Okay…everyone knows that already…something else…something from around the house, or at school that you can think of? Chris: Oh…that’s easy. Crushed ice. Me: You want me to blog about crushed ice. 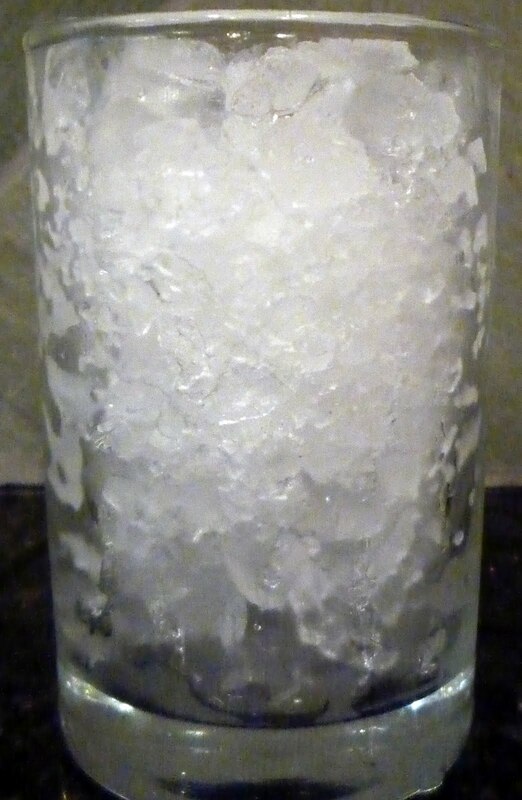 So…here I am blogging about crushed ice! My husband is right though…I really DO love crushed ice. We bought our refigerator because it has crushed ice. Whenever I get something to drink, I have to have the glass full of ice…about three quarters of the way. Then, I like to crunch the ice with my teeth! Especially on a really hot day, it makes everything cooler. Pretty close to how I usually have to have it. 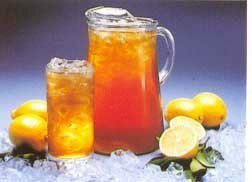 Every day at lunch they serve sweet tea for the teachers. 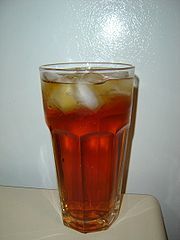 Usually, by the time I’ve finished lunch there is NO ice left in my cup…and a wee bit of tea. I usually get a refresher right before I go out to recess. Here in Florida, it is SO HOT! :/ Daina and I take our kids to recess right after lunch. By that time of the day, it can be 80 degrees already. My ice helps to keep me cool! Oh! And I just had this thought! 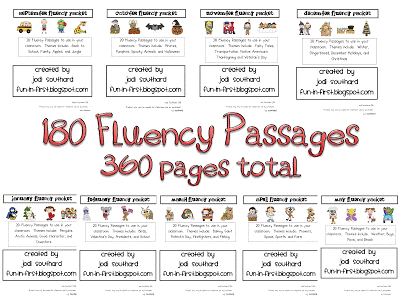 Jodi Southard from Fun in First’s Fluency Packs! These are all written exclusively by Jodi. I used them as morning work, center review, and even in small group time as well! I hope that you all are having a great last week of school….ORRRR first week off from school! Stay cool… 7 days and counting! We bought our refrigerator because of the crushed ice feature too! It was the one request my husband had when we were picking out appliances for our new house several years ago! Your husband is one smart cookie! 🙂 Crushed ice all around!! WOOOO! 🙂 I hope you've become a crushed ice convert too! 🙂 Hee hee hee! I do love crushed ice! Have you ever been to a Tijuana Flats and had their ice? LOVE it!!! Only two more days of 90+ degree recess for us! How about you? When's your last day? Thanks for linking up girl!